Corinth Square Learning Tree is OPEN for business! After 5 short days of hard work we reopened with a whole new look. We invite you to come in, take a peek, shop our new layout and tell us what you think! 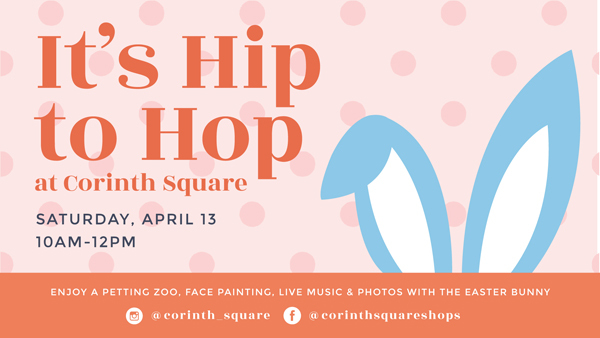 Our GRAND reopening is this Saturday April 13th, during Corinth Square’s Easter event, Hip to Hop! We’ll be ready with give-aways (while they last), craft projects, and lots of fun for the whole family! Scroll on down to get the details about our Easter and Springtime family fun! Corinth Square will be jumpin’ with Easter fun this Saturday! As you make your way around the center be sure to stop by the Learning Tree for take-home Springtime activities and give-aways. Come hop with us! 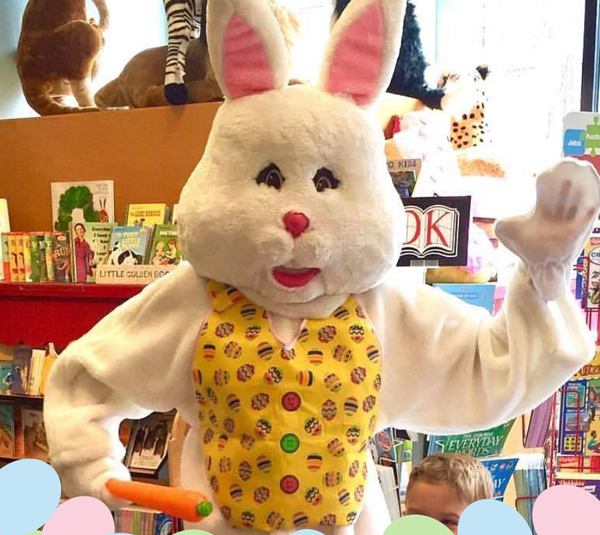 The Easter Bunny will hop on over to Leawood and share a special Storytime with Miss Elisa at our Park Place location. Bunny surprises and treats! Snap a picture with our favorite cuddly friend. Saturday April 27, 10:30am Park Place Local Author/Children’s Book Event and Earth Day Celebration: Join local author Carol Murray at Park Place for a special Earth Day Celebration! 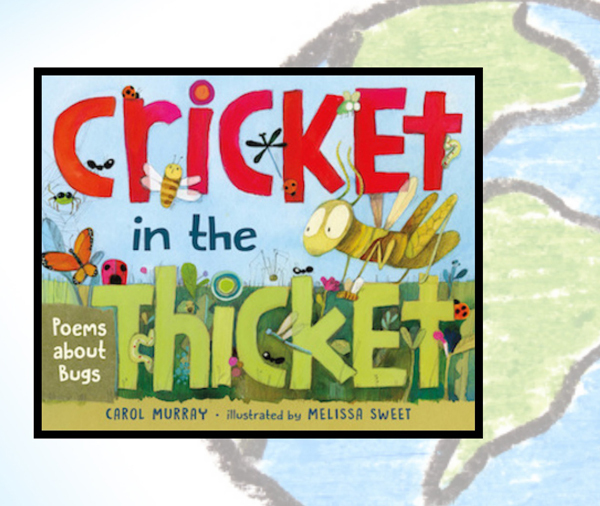 Carol will share her book Cricket in the Thicket: Poems about Bugs. We’ll sing and do some creepy crawly buggy activities! Books available for sale and author signing. 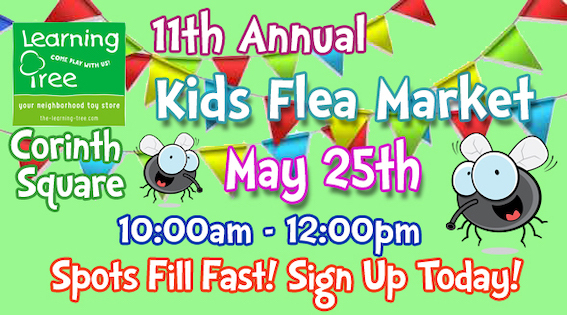 Saturday May 25, 10:00am-Noon Corinth Square Shopping Center 11th Annual Kid’s Flea Market: Kids and families, sign-up for a spot at this kid centered flea market. Set up your decorated booth to sell your outgrown toys, books and kid stuff! It’s a fun family neighborhood event whether you are selling or buying. Best part? When the flea market closes, any unwanted items will be loaded on to the Operation Breakthrough donation truck. Check out our website or our FaceBook page for an up-to-date listing of events and activities. We’ve made it easy to sign up online! Questions? Give us a call 913-385-1234. We like you, do you like us? Like our Facebook page and get the Learning Tree scoop plus giveaways and fun!